When this book came up on the TBR list, I knew I had to read it even without reading the synopsis, this author and her writing style is one I love. She can rip out your heart, throw it on the ground, stomp on it and then pick it up, dust it off, put it back in your chest and jump start it, and you are back to breathing again. She can transport you into any story and make you feel every emotion. And that is just what she did to me with this one. Abi has come back to Molly’s Knob to spend some time in the one place she calls home. It is where she grew up until she was 17. Where she had her first love and then she and her mother left. Coming home for Abi is going to give her the peace she needs to help her heal her soul, maybe. Seeing Sam, her first love, isn’t going to make things easy. Sam has lived in Molly’s Knob his whole life and it was only right that he came back there after college. He has taken over the local medical practice, married his college sweetheart, and has a beautiful daughter. He has a perfect life – or so it seems. When Abi meets Sam’s wife, Sara, she can’t believe how she looks like an angel. And she can’t believe that she is dying. But Sara has a wish for Sam before she dies, she wants him to find love and a mother for their daughter. And Sara wants to help pick out this woman. When she meets Abi, she realizes that Abi and Sam still have feelings for each other, so why can’t they rekindle their feelings and make the perfect couple? Can Sara make Abi see that Abi would be perfect for Sam and his daughter? Will Abi tell Sam why she really came back to Molly’s Knob? What will Sam do when he learns the truth? I loved everything about this story and recommend you read it with a box of Kleenex because you will feel all of Abi and Sam’s pain from the past and present. I hope you give this one a chance and love it too. Abi is a runner. She learned from her mom that running solved a lot. But as Abi grew older, she realized that while running was instant gratification at the time, the carnage that it can sometimes leave is not necessarily easily repaired. Despite her past, she decides that coming home might be what she needs to find a new inner peace. Sam was Abi's sweetheart – they were destined to be together. However, due to circumstances out of Sam's control and Abi's dedication to her mother, Sam and Abi's happy ending was drastically altered. Sam is now a successful family doctor who has lived in his hometown for a while now. He married his college sweetheart and they have a daughter together. Sara is kind and a little bit of an enigma. Despite her circumstances and the fact that life is never fair, she wants her family to continue on and be happy. 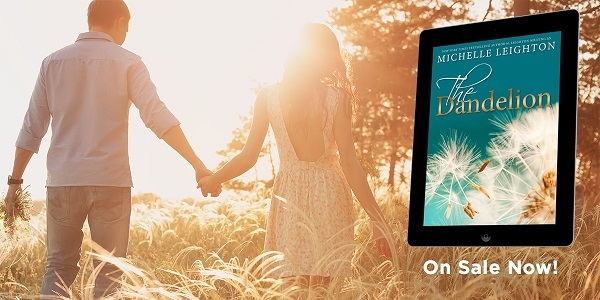 When she meets Abi, Sara realizes that with a little help from fate, from her, and opening Sam and Abi's eyes, they all could get what they want. I was a little put off by Abi's constant thoughts of not thinking she was good enough or deserved a happy ending. I think I got the point of why she was running from the beginning, but it was a constant marker throughout. This is a heartbreaking, mending, and soul achingly great second chance romance. It runs the spectrum of emotions. Whether or not Abi will let herself be happy – that will be the question. 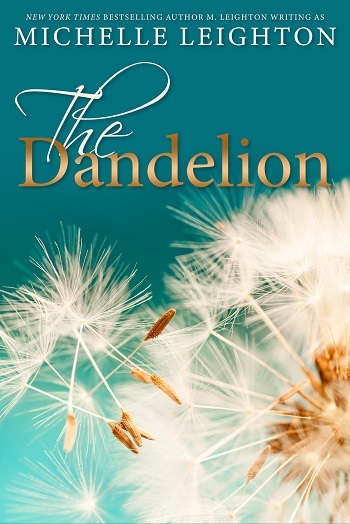 Reviewers on the Wicked Reads Review Team were provided a free copy of The Dandelion by Michelle Leighton to read and review.